These long, light nights leave little time for updating my blog, so I apologise for the lack of activity lately. As spring is over and autumn has yet to start, birding on the patch has been slow. I've tried a couple of sea-watches and managed to add roseate tern to the patch year list, but nothing else. With over 80 pairs on Coquet Island, it was just a matter of time. There were two harbour porpoise in the bay tonight. The Budge fields are still proving popular with black-tailed godwits, there were 28 there tonight. No other migrant waders were noted over the last week though. The two curlew chicks are still alive and well and getting bigger, their bills are lengthening too. 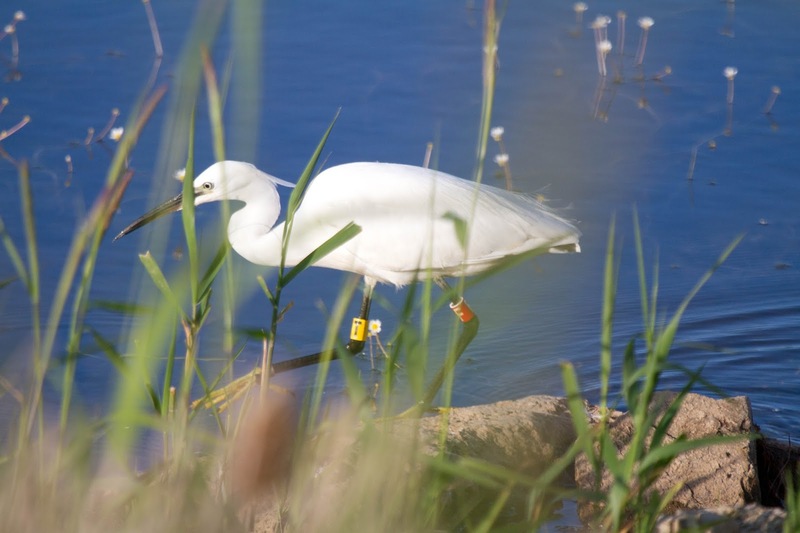 I saw a colour-ringed little egret on the big last weekend. You can see from the record-shot below that it has a yellow ring with a black 'T' on the left tibia and a red ring with a white 'F' on the left tibia. has anyone else seen this bird around? I saw my first patch-grasshopper warbler of the year tonight, it was reeling in some umbellifers on the edge of the dunes. 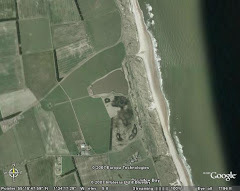 This species seems to be a bit boom-and-bust at Druridge in recent years. Great to hear the Curlew chicks are doing well as i hadn't seen them for a while although a couple of vocal adults had me thinking they were still out there somewhere. The Little Egret was ringed as a nestling in Lincolnshire in May 2014 - I've seen it a couple of times both last year and this year at Cresswell Pond.